If anyone would like to represent the Leave No Child Inside Central Ohio Collaborative, please contact Alice at alice@alicefoeller.com. 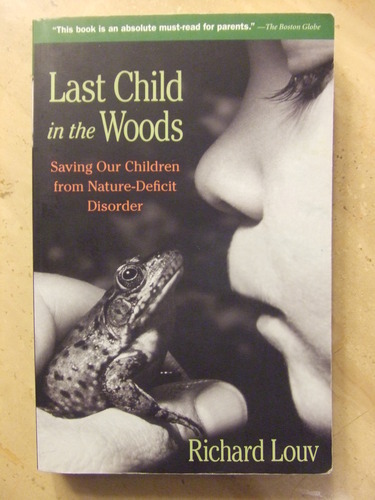 In the past, No Child Left Inside has participated Highbanks MetroParks (Lewis Center, OH) Outdoor Adventure program held every summer at the park. Highbanks MetroPark is holding another large event you maybe interested in participating in this fall. Would No Child Left Behind Volunteers be interested in providing a hands-on booth about exploring the outdoors in the fall or a Halloween theme activity? We also have a simpler option of participating in the trunk-or-treat section of the festival. If you would like to provide hands-on activity/booth MetroParks would provide tables and chairs. We will have limited electricity. We are expecting over 2,000 people for the event. Highbanks MetroPark is hosting a Highbanks Harvest Festival & Trunk-or-Treat on Saturday October 27, 2018 from 1:00 – 4:00 pm. The festival contains many family-friendly activities including: hay rides, smores & campfire, halloween crafts, halloween/fall games, giant leaf pile, food trucks, bounce houses and a small trunk-or-treat area. The trunk-or-treat area allows children (with parent supervision) to trick-or-treat in a unique way. Business/Organizations, like yours, have a great way to reserve a space in our trunk-or-treat area. This is an excellent opportunity to advertise the services your group offers to families. We are hoping you will join us in the trunk-or-treat area of the festival. There is no fee to participate in the event. Register with Chrissy Hoff, Highbanks Senior Naturalist at hoff@metroparks.net with your commitment to participate. Decorate a vehicle of your choice with a Halloween or Fall theme. Provide candy or small toys (ex. temporary bird tattoos:) for approximately 2,000 kids. MetroParks will provide a space for your vehicle in the trunk or treat section of the event. It will be your responsibility to maintain your parking space from 1:00 pm – 4:00 pm. The event will be held in the Big Meadows Picnic Area at Highbanks MetroPark. We would like all vehicles in their assigned spot by 12:15 pm on October 27th to allow time to decorate the vehicle before the event begins at 1:00 pm. We will host this event rain or shine. More information will be provided closer to the event. The event is being advertised on MetroParks Facebook page: https://www.facebook.com/events/256745068501259/. Currently over 4,000 people are interested in attending the event and the event is still almost 2 months away! If you have any questions or would like to participate, please feel free to contact Chrissy at 614-846-9962 or email: hoff@metroparks.net.